TEETHMATE DESENSITIZER is composed of a calcium phosphatecontaining powder and a liquid that is primarily water. The powder and liquid are mixed to form a slurry that is then applied to the affected area where it reacts with tooth structure to form hydroxyapatite. TEETHMATE DESENSITIZER is indicated for reduction of tooth hypersensitivity and is designed to seal the dentin tubules and microcracks in the enamel. It can be used in the treatment of dentin exposed by toothbrush abrasion, gingival recession, periodontal disease or acid erosion; treatment of dentin after mechanical tooth cleaning, scaling or root planing; treatment of tooth surface before and/or after teeth whitening; and treatment of prepared dentin for fillings and/or prosthetic restorations. 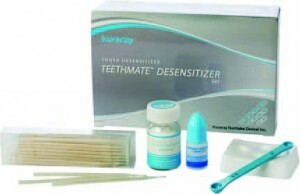 TEETHMATE DESENSITIZER is indicated for use by hygienists and dentists. 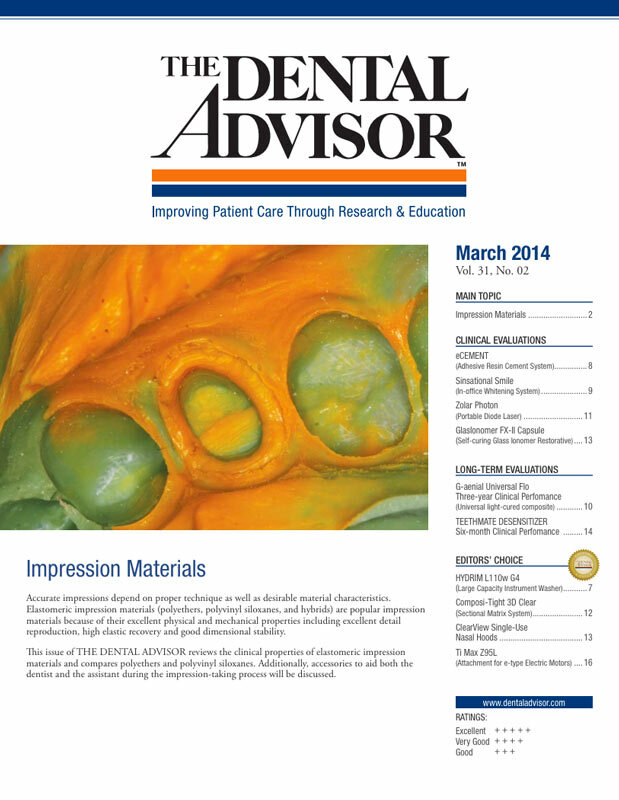 27 patients who reported dentin hypersensitivity were randomly selected. The level and frequency of sensitivity were recorded from the patient reports. The presence or absence of discomfort in response to the air blast was made at chair-side to confirm the sensitivity. Fifty-four teeth were evaluated for sensitivity and the following scale was used to document the level of sensitivity. 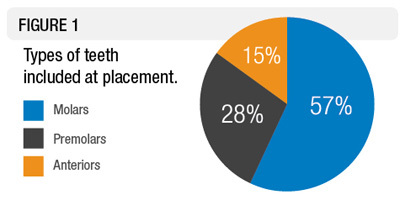 The distribution of affected teeth are indicated in Figure 1. At the baseline visit, patients received an oral soft tissue exam to evaluate the overall health of the mouth and then were assessed to confirm tooth sensitivity and the level of sensitivity was documented. recalled after six months and level of sensitivity was measured again. TEETHMATE DESENSITIZER<lt;/em> provided excellent initial relief from sensitivity related to gingival recession. After six months, 85% of patients continued to report mild to no sensitivity in teeth treated with TEETHMATE DESENSITIZER. This product received a clinical performance rating of 96%.